Through Rotary International and the Rotary Foundation, Rotary Gungahlin are involved in a number of projects around the world. Our largest focus internationally is supporting children’s health in our region, Kids from countries such as Timor Leste, Papua New Guinea and the Solomon Islands. In particular, our members are highly involved with Rotary Oceania Medical Aid for Children (ROMAC). ROMAC is the organisation that flys children in the Oceania region and the parents to Australia for surgery to alleviate serious medical conditions that may not be able to be attended to in their home country. ROMAC is made up of volunteers from Rotary Clubs all over Australia and is supported by hospitals including Royal Canberra Hospital and highly skilled, doctors, nurses and surgeons as well as non-medical Rotarians who help with various tasks ranging from taking the child to a post-operation appointment, hosting families or even picking up groceries for the host. There are many ways to help. For more information about ROMAC, please visit the ROMAC website. Our members are also involved in other projects such as Shelter Box. 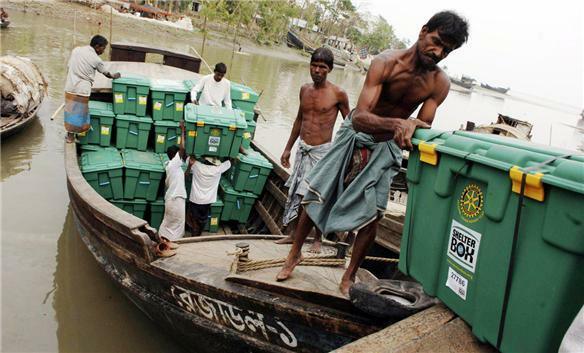 Shelter Box is a project supported by Rotary International to provide urgent supplies and humanitarian aid in times of crisis, including natural disasters such as fires, floods, cyclones and earthquakes. Each Shelter Box contains a family-sized tent, thermal blankets, flashlight, water purification equipment, cooking utensils, tools and more. The Shelter Box organisation has so far responded more than 270 crisis around the world. A portion of takings from our Rotary Gungahlin fundraiser BBQs you see us at is used to purchase Shelter Boxes ready to send to the next humanitarian crisis. For more information about Shelter Box, please visit the Shelter Box website. Rotarians around the world, including Bill Gates (Microsoft Founder/Chairman) have been working tirelessly toward to goal of completely eliminating polio around the world – with a great deal of success. Once widespread across the first, second and third world, Polio now only exists in 3 countries. 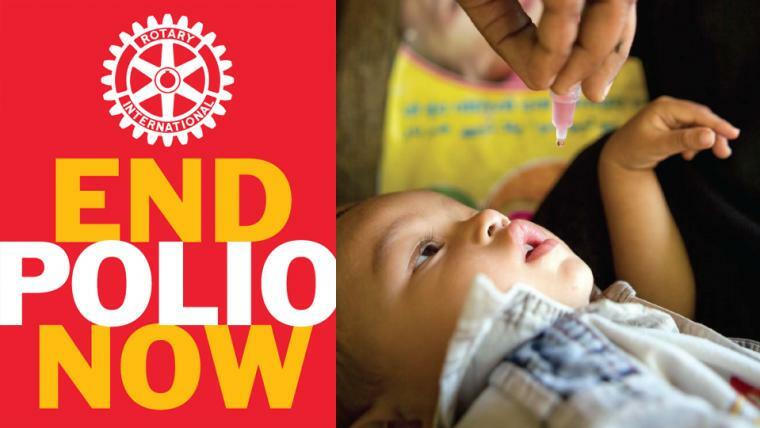 An incredible 2.5 billion children have been immunised against polio and through the fundraising of the thousands of Rotary Clubs across the world, including Rotary Gungahlin, $79.5 million has been given to UNICEF and the World Health Organisation (WHO) to continue to fight. For more information about this campaign, please visit the End Polio Now website. The Rotary Found ation has a long-standing commitment to the promotion of peace, reconciliation and conflict resolution. Our Club has been involved in supporting this program and hosting each annual cohort of scholars on their annual visits to Canberra for research facilitated by direct access to national agencies and identities. Each group is an amazing affirmation of Rotary’s role in action and the company of such scholars in our homes has been a joy to many of our members.